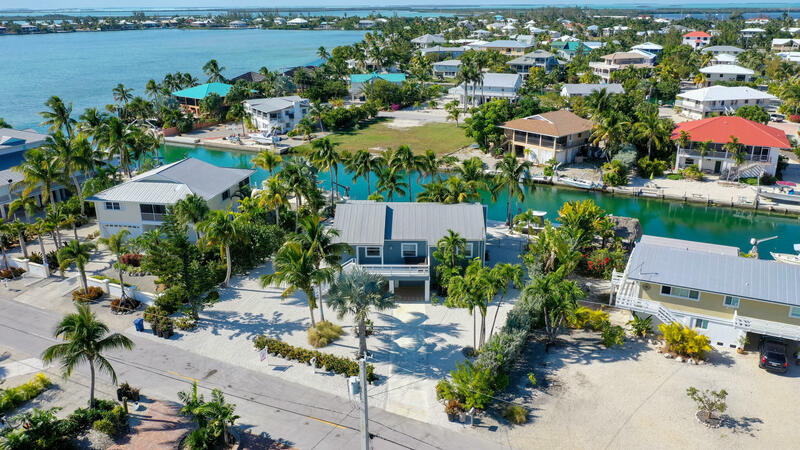 Sugarloaf Key Beauty! Oceanside waterfront 3 bed 2 bath home is perfectly situated on an estate lot (12,500 sq.ft.) with 100' of concrete (step down) seawall, boat ramp, heavy duty davits and a full RV Hookup. New impact resistant windows and Hardie-Plank siding, new flooring, updated kitchen, window treatments, covered screened porch and big bedrooms. Enjoy every aspect of this home from the oversized living room (open floor plan) to the inviting screened (waterfront) porch or take the back stairs down to the walkway that leads to the crystal clear blue water of Sugarloaf Sound! Jump in and have a swim in some of the most inviting blue water the Florida Keys has to offer. Downstairs has a large storage area, garage and a fenced area for the pets. Don't miss this one! Easy to show.